This is an amazing necklace that would look great on any Calvert Hall Mom, Wife, Grandmom, Aunt, Sister, Teacher, or Girlfriend! Treat yourself! Give it as a gift! Or Both! The necklace features the Calvert Hall Cardinal on an eye catching round-white background with a 17" vegan black leather rope necklace. The pendant is 18 mm in diameter and made of Lead free and Nickel Free Rhodium metal that is sure to keep it's shine and luster. 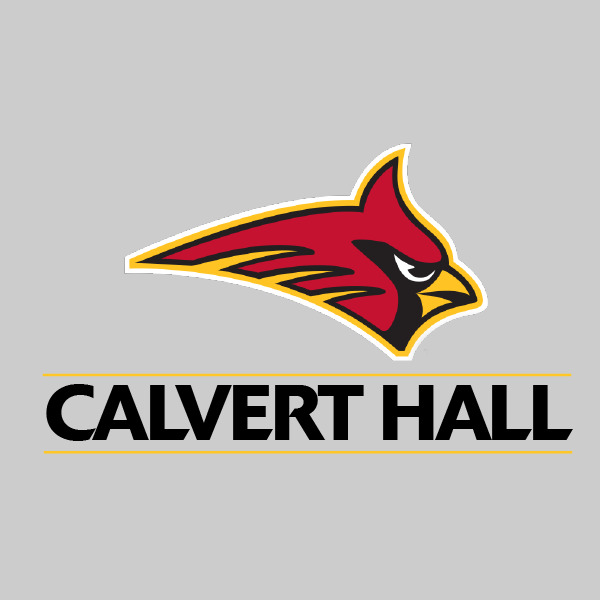 The pendant also includes a removable 'custom snap' with the Calvert Hall Cardinal logo. The pendant can also be used on any other chain you may own. Each necklace comes with a super strong magnetic clasp which can be removed if a regular style clasp is prefered.